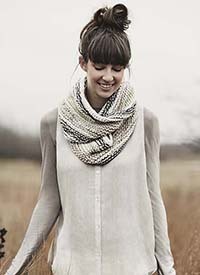 Gorgeous, elegant patterns from Easy to Expert, to help you make the most of Blue Sky Alpacas beautiful cotton yarns. Want to learn to crochet? Here's a beautiful way to start. 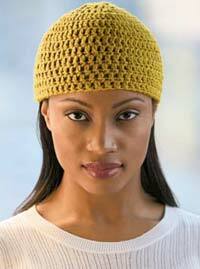 This comfy, delicate beanie is great for winter or summer. A great beginners pattern. 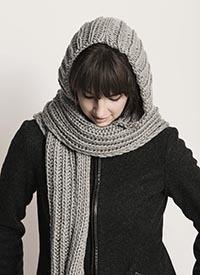 Blue Sky Knitting patterns for their beautiful bulky cotton yarn are so wonderful to knit - and even better to wear. Cotton isn't usually considered a luxury yarn - but one touch and you'll think differently. Thes patterns make the most of Blue Sky Alpacas incredible color sense: from organic hand dyed cotton in sumptious colors, to the sophisticated palette of Blue Skys Color-grown Cotton Yarn - this is a really unusual cotton yarn that will make you happy no matter what pattern you choose! Especially great for those with wool sensitivities.